UK patient satisfaction survey: In a disturbing official report of the results of a patient satisfaction survey undertaken during 2011/2012 among 71,793 Cancer patients in the UK it has been found that "... some types of cancer, such as brain and Central Nervous System and sarcoma, have scores on particular questions which are 20-30 percentage points worse than those given by patients in the best rated cancer groups." The 168 page report can be accessed here. Brain Tumour organisations in the UK (including the IBTA) have formed a Consortium to work together to improve brain tumour policy and services. ImmunoCellular Therapeutics: Dr Manish Singh, the President and CEO of ImmunoCellular Therapeutics has stepped down and will be replaced by the Chair and founder Dr John S Yu on an interim basis. The company has been developing its vaccine therapy ICT-107 for glioblastoma. There is some commentary on the personnel changes here. Meanwhile, on 3 August promising results of the Phase 1 trial at Cedars-Sinai were published in the journal Cancer Immunology, Immunotherapy, which is freely available here. avastin: On 10 August Roche announced that "... the phase III AVAglio study of Avastin plus radiation and Temozolomide Chemotherapy in people with newly diagnosed glioblastoma met its co-primary endpoint of a significant improvement in progression-free survival (PFS)." They also stated that "Data for final overall survival (OS), the other co-primary endpoint, are expected in 2013 ... No new safety findings were observed in the AVAglio study and adverse events were consistent with those seen in previous trials of Avastin across tumour types for approved indications. Full data from the AVAglio study will be submitted for presentation at an upcoming medical meeting." There has been speculation that the meeting could be the upcoming Society of Neuro Oncology conference to be held in Washington during 15-18 November. ESMO award: Professor Jean-Yves Blay, a former president of the EORTC (European Organisation for the Research and Treatment of Cancer) who has been very active in the European rare cancer movement, will receive an award at the Opening Ceremony of the ESMO (European Society for Medical Oncology) conference in Vienna during 28 September - 2 October. EORTC itself will also receive an award. Readers may recall that the 2012 IBTA magazine carried an article by the EORTC's President-elect Dr Roger Stupp to mark its 50th anniversary this year. The IBTA plans to exhibit at both the patient seminar section of the ESMO conference and the preceding conference of the European Association of Neuro-Oncology (EANO) to be held at Marseille during 6-9 September. Spanish research: In a six-minute ecancerTV interview following the July EACR (European Association for Research of Cancer) meeting Dr Joan Seoane of Vall dâ€™Hebron Institute of Oncology, Spain, explained how researchers are isolating Glioma Initiating Cells (GICs) from culturing a patient's glioblastoma tumour obtained during neurosurgery and implanting them in mice. The process enables researchers to observe the development of the mouse tumour and to suggest experimental therapies which might be relevant to the particular patient. Dr Seoane chaired a pre-EACR meeting on brain tumour research supported by the Seve Ballesteros Foundation and which featured several international speakers. The program and a small abstract book can be downloaded from here. The consequences of delayed Radiotherapy for newly diagnosed GBM: Contrary to previous research, a new study published at the end of July by a team at the University of Barcelona (Valduvieco et al) has concluded that survival is significantly reduced in glioblastoma patients if radiotherapy is not initiated within six weeks following complete resection of the tumour. On the other hand, a study based on patients at 18 centres in France who were involved in the EORTC-NCIC concomitant trial and published in Neuro-oncology in August concluded that "In this large series treated during the EORTC-NCIC protocol period, waiting time until radiotherapy did not seem to affect patient outcome." Imetelstat: There is an interesting speculative article which is linked to here about the likely future course for Geron Corp's Imetelstat and its possible relevance to brain Metastases from lung and breast cancers. The article suggests that it is not yet clear which cancers the company may decide to target. European Inquiries: The European Commission has initiated inquiries into the potential health effects of electromagnetic fields (EMF) and the safety of medical devices containing nanomaterials. In the latter it specifically flags the need for a clarification of the possible relevance of the inquiry to Magforce's NanoTherm therapy for brain tumours which is now available in Germany. Meanwhile, researchers at the UCL Cancer Institute in the UK are experimenting with Ferucarbotran, which is a SPION (superparamagnetic iron oxide particle) to be administered to patients with glioblastoma who will then have their tumour subjected to MACH (magnetic alternating current hyperthermia) technology, which will heat the particles in the tumour and hopefully generate a toxic effect. DNATrix Inc: DNATRix Inc, which is based in Houston, is preparing a Phase 2 study of its adenovirus Delta-24-RGD, to commence early in 2013, for trial against high grade gliomas. The Phase 1 study was conducted at the MD Anderson Cancer Center. Cancer stem cells: Articles in Nature and Science in early August, based on work on mice by researchers in the USA and Europe, suggest that cancer stem cells can be found in brain tumours and early forms of skin and colon cancer. If this proves correct then it opens up a new target for future therapies. Webinar and Podcasts: The American Brain Tumor Association has announced that it will provide a webinar by Dr Timothy Cloughesy on "Understanding Brain Tumours" on 27 September which will be recorded and posted on its website later. The Cancer Council in Queensland (Australia) also plans to upload as a podcast two presentations by US visitor Dr Susan M Chang at a patients' and caregivers' Forum organised by Brain Tumour Alliance Australia on 11 August. PNET tumours: In a study published in The Lancet Oncology of CNS primitive neuro-ectodermal tumours (PNETs) led by Principal Investigator Dr Annie Huang from Toronto's SickKids Hospital researchers discovered three molecular subgroups of these fairly rare paediatric brain tumours. The hope is that the findings may lead to more specific treatment approaches. There is an interview with Dr Huang at page 38 of the recent issue of the IBTA's Brain Tumour magazine. Readers can obtain a free copy of the magazine by filling in the on-line form located here. Impact on patients and caregivers: The June issue of the European Journal of Oncology Nursing contains a systematic review by Belgium-based Wendy Sterckx et al of 16 qualitative studies relevant to the impact of a high-grade glioma on patients and caregivers. Not surprisingly there is an identification of dissatisfaction about received support or lack of adequate support by both patients and caregivers. Survival: In a major report in the International Journal of Cancer on "Survival of European patients with central nervous system tumours", estimates of population-based 5-year relative survival (1988-2002) were 85% for benign and 19.9% for Malignant tumours. While this led the authors to suggest that the absence of improved survival for malignant tumours indicated "no useful advances in treatment" the implementation of the Stupp regimen as standard therapy is more likely to show up in the statistics for the post-2002 period. Solvents not at fault: In a report published on 3 August in Occupational and Environmental Medicine US researchers have found no consistent evidence for increased risk of glioma or meningioma following occupational exposure to six chlorinated solvents they studied. However, there was some suggestion of a connection between carbon tetrachloride and glioma for exposed subjects with exposure above the median. Pediatric Brain Tumor Foundation: The US-based Pediatric Brain Tumor Foundation has announced the selection of Robin Boettcher as the new CEO of the Foundation, commencing on 10 September. Boettcher succeeds the late Dianne Traynor who died last month and has a background of work in the National Parkinson Foundation, the Leukemia and Lymphoma Society, and the Multiple Sclerosis Society. The rights of parents: In a disturbing case in the United States an eight-year old girl (Sarah Parisian) with a medulloblastoma brain tumour has had her treatment examined by a court after the treating oncologist turned in the parents to Child Protective Services for questioning her recommendations. The therapy being considered sounds like the St Jude Protocol although its name was not mentioned in the media. The parents wished to have their child undergo a more "integrative" treatment approach. A lengthy article in the Washington Times about the case appears to have been written by a cancer treatment sceptic but the case does raise some important issues about parental rights and accepted treatment modalities which may have severe impacts on paediatric patients. UC Davis case: The US Sacramento Bee newspaper has followed up with further background on one of the neurosurgeons (Dr. J. Paul Muizelaar) involved in the UC Davis experimental infection case on brain tumour patients (reported in last month's E News), which quotes those who are supportive of the specialist and those who are not. PTEN and EGFR: Researchers from the USA and Brazil have undertaken research which suggests that glioblastoma patients with PTEN (a tumour suppressor gene), modified by phosphorylation, had resistence to EGFR (epidermal growth factor) inhibitors. They are now focussing on ways to restore PTEN function in tumour cells. The research report is available on Open Access in the Proceedings of the National Academy of Sciences. Etirinotecan: Stanford University researchers will test Nextar Therapeutics Inc drug etirinotecan pegol on high grade glioma patients who are bevacizumab-resistant. Unsubscription method: Quite a large number of readers receive the E News as a result of original recipients forwarding it to them. They are "secondary recipients". The E News has a link whereby the recipient can unsubscribe from receiving future issues, however, if a "secondary recipient" clicks on the link in the copy they received they will unknowingly unsubscribe the email address of the person who originally forwarded the E News to them. In those cases please inform the person who forwarded the E News that you do not wish to receive future copies. Please do not use the unsubscribe function. For those who received the E News as a forwarded email click here to receive our future editions directly from the IBTA. A Watford F.C. super fan, who sadly lost his battle with Cancer in September 2010, will be honoured at a unique charity ball to be held at Vicarage Road. Steve Brister was diagnosed with prostate cancer in 2008 which unfortunately metastasised to his brain in 2010. He fought a courageous battle every step of the way, including raising over Â£10,000 in his final weeks for BT Buddies, a charity very close to his heart. 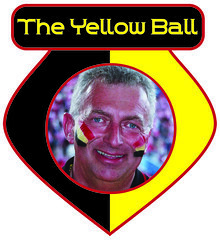 The Yellow Ball has been organised by Steve's widow, Jackie, and the founder of Brain Tumour (BT) Buddies, Natalya Jagger. 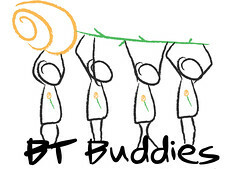 It will be held on Saturday 22nd September 2012 at the clubs Vicarage Road ground and will see guests, including some Watford F.C. players, dressed in Yellow Tie and ball gowns. Natalya said â€œI got to know Steve personally through my charity Brain Tumour (BT) Buddies and it's great to be able to do something to honour such an amazing man as we come up to the second anniversary of his passingâ€. Tickets for the event cost Â£30 per person and include a sparkling drinks reception, 3 course dinner and entertainment. There will also be a raffle and auction of great autographed Watford F.C. items, on the night. IBTA magazine: We are reasonably confident that copies of the IBTA's " Brain Tumour" magazine have now been distributed to recipients in the 106 countries where we have contacts, with Spain and Australia being the last countries to be covered; however, if you have not received a copy by now please go to this link and complete the on-line form. Reaction to the 2012 magazine has been encouraging. See this link for readers' comments. 800 copies were distributed at the very successful ISPNO (International Symposium on Pediatric Neuro-Oncology) conference held recently in Toronto, Canada. The 602 research abstracts presented to ISPNO have been published under 18 categories in a supplement to the June issue of the journal Neuro-Oncology and for the idly curious here is a link to over 100 photographs taken at the conference by the official photographer. Experimental furore: A large amount of publicity has been generated by a case in the USA involving two UC Davis neurosurgeons who introduced pathogenic bacteria into the Craniotomy wounds of several brain tumour patients as part of an experiment. The story in the Sacramento Bee newspaper appears to be the most extensive report and this is a link to a video of a news report about the case. Even Nature magazine bought into the debate. The Chair of an Institutional Review Board (IRB) appears to have played an important pro-active role and the episode is a salutary reminder of the need for appropriate review and oversight of clinical research, not just by members of an IRB, but also of the need to involve patient advocate representatives relevant to the area of research. ASCO: As reported last month, attendance at this yearâ€™s ASCO meeting appeared to be down on the 2011 figures. This has been confirmed in an analysis of attendee demographics which showed there were 31,250 registrants (2012) compared with 31,800 (2011) but it remains the largest international oncology meeting of its type. International attendees still constituted the majority at 52%. Dr Susan M Chang, who authored the Timeline of brain Tumor treatment developments reproduced in the IBTAâ€™s â€œBrain Tumourâ€ magazine, has produced an audio Cancer.net podcast, under the aegis of ASCO, which summarises research findings for brain tumours arising from the 2012 ASCO Conference. Dr Chang will visit Australia in August to speak at the MOGA and COGNO ASM's and a Forum for patients and families organised by BTAA. New European clinical trials regulation: The European Commission has finally published (on 17 July) its proposal for a Regulation of the European Parliament and of the Council on clinical trials on medicinal products for human use. The new Regulation repeals the highly controversial EU Clinical Trials Directive 2001/20/EC which was criticised for hindering clinical research across Europe because of its complex red tape. The Regulation will impact on the conduct of clinical trials for brain tumour patients. For example, Article 9.3 states that "the view of at least one patient shall be taken into account" in the assessment process. Additionally, the bureaucratic administrative burden attached to submitting clinical trial proposals for assessment and evaluation has become more streamlined. The IBTA signed a joint statement organised by Cancer Research UK to support the proposal for a revision to the original Directive. Dianne Traynor: The IBTA was shocked and saddened to learn of the death last week of Dianne Traynor, President and Chairman of the Board of the Pediatric Brain Tumor Foundation (PBTF) in the USA. The PBTF has supported basic, translational and clinical research at more than 50 institutions around the world. We extend our deepest condolences to Dianneâ€™s family, friends and PBTF colleagues on the loss of such an amazing, dynamic and inspirational woman. This is a link to an article that Dianne wrote for the 2010 IBTA Brain Tumour magazine describing her work. Deadlines: The deadline for applications for the eight regional-based $2000 scholarships offered by the Society for Neuro-Oncology (SNO) for attendance at the SNO conference in Washington in November by those who work and live outside North America, is 10 August. The deadline for late-breaking abstract submissions for the meeting of the European Association of Neuro Oncology (EANO) in Marseille in September, is 28 July and normal rate registration is possible until 31 July. Alexâ€™s Lemonade Stand Foundation has announced plans to release $10m in funding for pediatric cancer research and there are various deadlines for different categories. Applications for nurse researcher grants are currently open and close on 1 August. The deadline for a patient-oriented EORTC one-day seminar on clinical trials to be held in Brussels on 13 September, is 31 August. To tell or not to tell: A UK couple has revealed that they deliberately withheld information from their twelve-year-old child that his Inoperable brain tumour was terminal. After the child passed away in May â€his heartbroken family was consoled by the knowledge that Adam (the child) was never depressed about the knowledge of his imminent deathâ€. This is a difficult subject and in some cultures families actually request doctors not to tell the patient (usually an adult) that they have a terminal illness such as a brain tumour. Meanwhile, a nine-year-old boy with an inoperable brain tumour and very poor short-term memory, also from the UK, uses a "SenseCam" camera hanging from his neck to help him remember what he has been doing each day. The camera automatically takes 2,000 pictures per day which can be retrieved to jog his memory. Medulloblastoma: A collection of articles about ground-breaking research into the childhood brain tumour medulloblastoma appeared in the journal Nature during July. Two of the articles are available on Open Access: here and here. An abstract is available publicly for one other article. Generally, the research identifies potential biomakers and gene mutations and indicates therapeutic opportunities and, hopefully, could lead to more targeted treatments. The research included the study of preserved brain tumours from 1,000 children. MDxHealth and Merck KGaA: MDxHealth SA has announced an expanded collaboration with Merck KGaA for the development and worldwide commercialisation of MDxHealthâ€™s MGMT diagnostic test PredictMDxTM for glioblastoma. Merck Serono is developing its therapy cilengitide for use with standard therapy for newly diagnosed glioblastoma patients. Lucathone: Spectrum Pharmaceuticals Ltd has initiated a placebo-controlled Phase II clinical trial of lucathone together with standard therapy, for glioblastoma. Lucathone is "An orally administered small molecule (which) inhibits topoisomerase II and AP endonuclease and has been shown to sensitize tumor cells to radiation and Chemotherapy by inhibiting DNA repair." The trial will take place in multiple sites in the USA and India. Meanwhile, a study by the Drug Information Association, based around query rates, â€œsuggests that the quality of clinical trials conducted in emerging countries is consistent with those conducted in developed regionsâ€. Acknowledgement was made of several limitations in the analysis. DCVax-L immune therapy: Northwest Biotherapeutics announced that its German partner Fraunhofer IZI has received official approval and certification from the regional and national regulatory agencies for the manufacture of its DCVax immune therapy for glioblastoma patients. Discriminatory attitude: Speaking during a (US) House Rules Committee debate on the GOPâ€™s bill repealing the Affordable Care Act, Representative David Dreier (R-CA) said that someone diagnosed with a brain tumor should not have health care provided. He added â€œI do believe that there can be a structure to deal with the issue of pre-existing conditionsâ€. Until they reveal themselves, usually by some catastrophic event, it is ridiculous to categorise a brain tumour as a â€œpre-existing conditionâ€ in this context and in the way that some parsimonious travel insurance companies have. Fusion of two adjacent genes: Scientists have discovered that in a sub-set of glioblastoma some cases are caused by the fusion of two adjacent genes. In mouse studies they found that drugs that target the protein produced by the fusion can dramatically slow growth. See also. Indonesia: In a news report about the relatively novel introduction of a Gamma Knife machine in Indonesia it was mentioned in passing that there are about 8,000 brain tumour cases per year in the country and there are only 206 registered neurosurgeons. Rare genetic variant in Glioma: Researchers have validated a link between a rare genetic variant (rs78378222) and the risk of glioma and identified an association between the variant and improved rates of survival. See also. Laser system for neurosurgery: A European Union-funded project (the MIRSURG project) has developed a table-top all-solid-state prototype laser source which enables minimally invasive neurosurgery by emitting an optical wavelength of 6.45 microns which is said to result in reduced collateral damage. avastin injection into the brain: A three year Malignant brain tumour survivor from a Phase 1 trial at Weill Cornell Brain and Spine Centre which involves intraarterial Intracranial infusion of Avastin into the patient's brain appeared recently on television and seems to be doing well. Toca 511: MRI Interventions, Brainlab AG and Tocagen will align in utilising the ClearPoint Neuro Intervention System at selected sites involved with Tocagen's clinical trial of the delivery of Toca 511 for brain tumours. Meanwhile, the Musella Foundation has awarded a grant to Tocagen to assist with the on-going clinical trial of Toca 511 and Toca FC for recurrent high grade glioma. ALD-451: Cytomedix has announced the initiation of a Phase 1 clinical trial involving ALD-451 for glioma patients in collaboration with Duke University Medical Centre. ALD-451 is "the population of autologus pluri-potent ALDHbr stem cells isolated from the patients' bone marrow using Cytomedix' proprietary technology". The trial will also seek an initial description of the effects of the drug on neuro-cognition. PET imaging agent: Novelos Therapeutics has successfully dosed three patients in a Phase1-2 PET imaging trial of 1-124-CLR1404 (LIGHT) in patients with primary or secondary brain tumours. The sponsors are hopeful that their imaging agent will supplant FDG in clinical use. ImmunoCellular: ImmunoCellular Therapeutics made several announcements in July - (1) The FDA has approved a physician-sponsored investigative new drug (IND) Phase 1 clinical trial of ICT-121 a dendritic-cell-based vaccine targeting CD-133 in recurrent GBM patients. This is different from its first vaccine ICT-107. (2) The Company will expand its current Phase IIb trial of ICT-107 in GBM patients who are HLA-A1/A2 positive, from 102 to 123 patients. (3) The Company announced the allowance of a Japanese patent relating to its technology for these therapies. Rare Cancers EU Access Index: Because primary brain tumours are defined as a rare cancer, the IBTA is a partner in the Rare Cancers Europe (RCE) multi-stakeholder initiative. We would be grateful if readers of the IBTA e-news living in the EU27 countries could answer some questions about access to rare cancer care. Your answers will help to lay the foundation for the first-ever Rare Cancers EU Access Index, comparing rare cancer care and policies across the European Union. The survey, which will close on 16 September 2012, is conducted with the help of the Swedish Institute for Health Economics. To take this 10-15-minute survey, please click on the following link. International survey on Pathology in Rare Cancers: In addition, RCE and the European Society of Pathology (ESP) have jointly launched an international survey on Pathology in Rare Cancers. All healthcare professionals from around the world working in pathology are invited to participate in this survey (which closes on 31 October 2012) by completing a short online questionnaire here. Unsubscription method: Quite a large number of readers receive the E News as a result of original recipients forwarding it to them. The E News has a link whereby the recipient can unsubscribe from receiving future issues, however, if a "secondary recipient" clicks on the link in the copy they received they will unknowingly unsubcribe the email address of the person who forwarded the E News to them. In those cases please inform the person who forwarded the E News that you do not wish to receive future copies and do not use the unsubscribe function. For those who received the E News as a forwarded email click here to receive our future editions directly. This is a local call rate number for anyone in the UK. 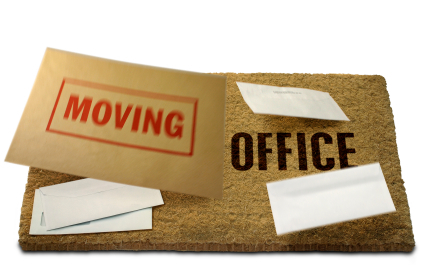 We just thought we'd let you all know that we will be moving offices from 4th - 6th July 2012. The website will be running as normal. We'll be back up and running by Monday 9th July 2012 at the latest!